Reptiles' unique behaviors are largely dependent on their environments. Each reptile is specifically adapted to a certain type of ecosystem and will only thrive if kept in that type of environment. 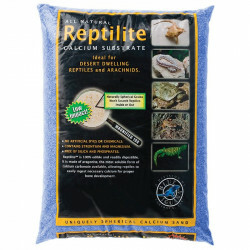 Most reptiles are native ground dwellers, and as such it is important to provide your pet snake, lizard or turtle with authentic, naturalistic substrate that effectively replicates its natural habitat. Sand is essential for reptiles to burrow, bask, cool off, nest and feel secure from predators (whether there are any or not). 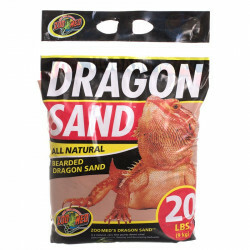 Pet Mountain's Reptile Sand store features top quality natural and enhanced sands and substrates from Zoo Med, the trusted leader on reptile care. 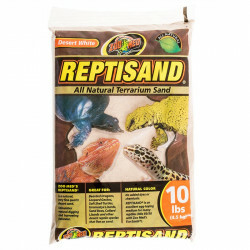 Zoo Med Repti Sand is Zoo Med's leading brand of sand. 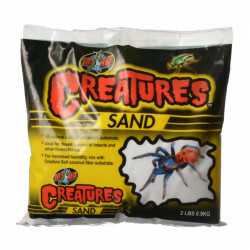 This all natural terrarium sand provides your pet with the habitat it wants by replicating the shimmering sands of its natural desert home. 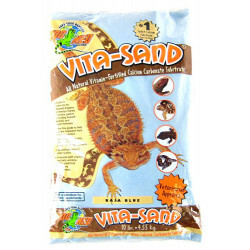 Consisting of pure, fine Quartz sand, Repti Sand encourages your pet's natural behaviors for your enjoyment. Pure Quartz desert sand is a superior substrate to manufactured silica sand. 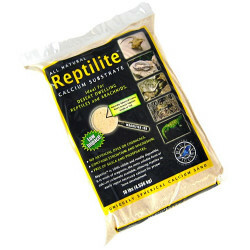 Repti Sand is finely ground to help prevent impaction if consumed. 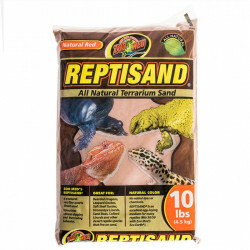 Repti Sand is an excellent heat conductor for your pet's comfort, and provides many reptiles with an ideal medium for laying eggs. It is long lasting, all natural, and easy to clean. 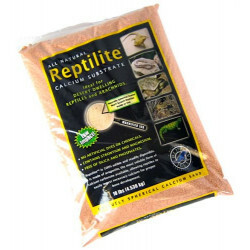 Zoo Med provides several colors of Repti Sand to best suit your pet and terrarium environment. 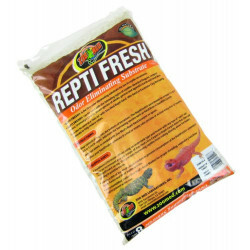 Zoo Med ReptiFresh Odor Eliminating Substrate will stimulate natural digging and burrowing behaviors. 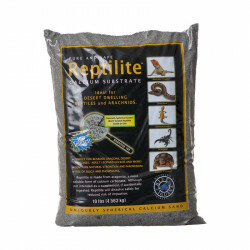 This natural mineral substrate is easy to maintain and can last up to 12 months before having to be replaced. 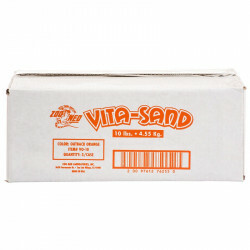 Zoo Med Vita Sand is an all natural substrate for desert dwelling reptiles. 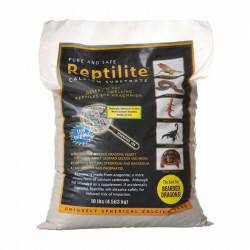 It stimulates natural digging and burrowing behavior and is an excellent egg-laying medium for many reptiles. Natural colored, pure Quartz desert sand has no added dyes or chemicals.